In recent years, the name Gopi Ganesalingam has become synonymous with Malaysia’s technology ecosystem. Just as Malaysia Digital Economy Corporation (MDEC) CEO Datuk Yasmin Mahmood has brought the organisation to a whole new level, Gopi has similarly played his part in nurturing the Malaysian tech ecosystem to ensure its upward trajectory. 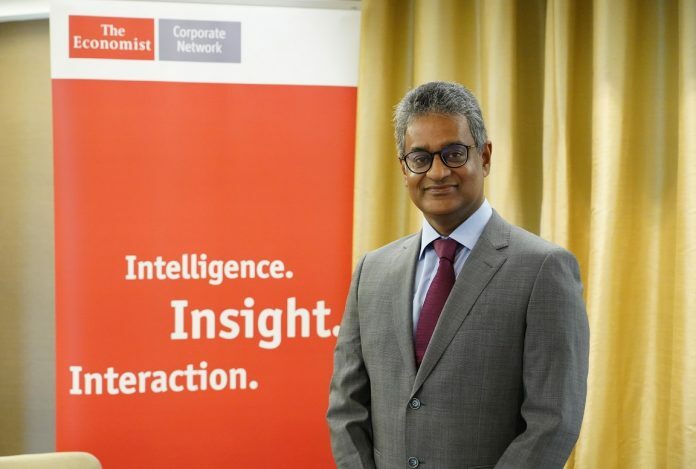 In an interview with Business Today after a recent event hosted by The Economist Corporate Network (pic above), Gopi describes his role as MDEC’s Vice President of Enterprise Development as a “God-sent mission to serve the nation calling, and one in which I wake up in excitement every weekday morning to go to work”. “We have a fantastic team at MDEC, and we are extremely blessed to have Datuk Yasmin as our leader charting the course,” said Gopi. “Our Enterprise Development division is similarly made up of experienced, committed and passionate professionals – who are from the industry and most of them have run a business – who continue doing their best for MDEC and Malaysia,” he added. “When I joined MDEC in February 2015, I was tasked with leading a team specifically created to identify and catalyse Malaysia based companies into the global arena as eventual global icons: this is one of MDEC’s four strategic pillars – to build world class tech champions,” he continued. “It’s usual for MDEC to move people around internally to lead teams to drive various corporate objectives, so my MDEC story moved through different chapters: Currently, I am leading a laser-focused team using MDEC’s GAIN (Global Accelerator and Innovation Network) initiative to elevate Malaysian companies onto the world stage, starting with the ASEAN region. “World class ambitions demand a high performance culture, which is a fast emerging trend in many key organisations,” he further said. The GAIN initiative was established in 2015 to identify and partner with progressive technology companies that were growing its headquarters in Malaysia. Since then, the GAIN team has engaged with more than 150 entrepreneurs and embarked on a fact-finding mission to understand what areas would be meaningful. “With ASEAN being the fastest growing internet economy in the world, being based in Malaysia has its advantages: Such as, the country’s competitive cost base, connectivity to the region, and most importantly, industry and government support to be top notch regional and global players,” explained Gopi. “The GAIN program does just that, primarily focusing on market access, visibility, raising capital and encouragement for GAIN companies to emerge as industry leaders within their respective fields,” emphasised Gopi. Where technology and innovation are concerned, Gopi believes that our local mid-sized markets should start recognising technology and innovation not as a cost – but as an investment – if they haven’t already. 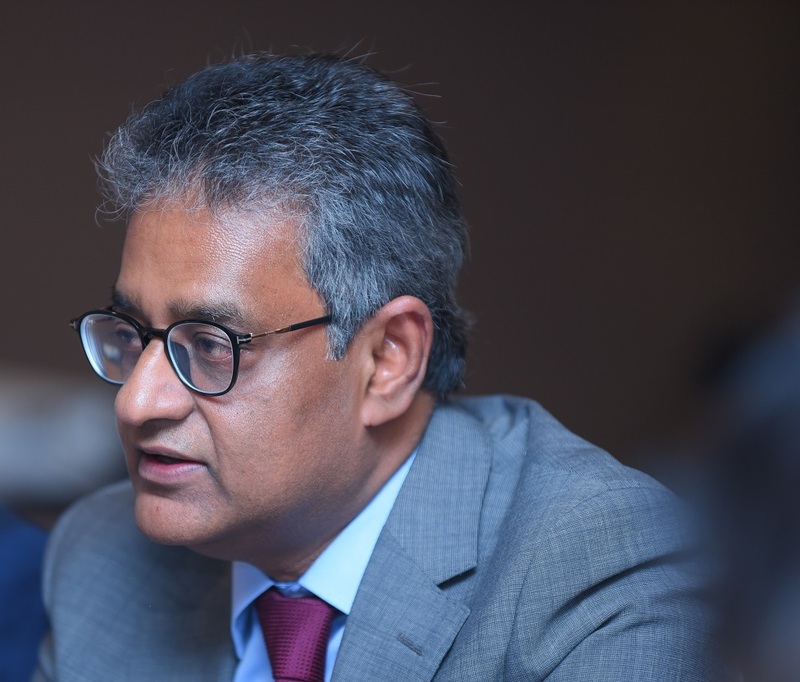 “By this, what I mean is for our local mid-sized companies to recognise the role of technology as a business enabler, and that technology/innovation is a strategic asset to drive greater productivity, operational efficiencies, to realise greater operational cost-savings, and most importantly, to stay relevant in the market place,” said Gopi. “Entrepreneurs and businesses are now faced with fast evolving technology and innovation at such rapid scale, that if it is not embraced at the right time, businesses can lose their competitive positions. We are seeing this happening to some long-standing renown global brands that have become obsolete in matter of years. “Technology is also getting less expensive and virtual, and this is making the world a smaller place to do business. Like it or not, the world is going through an Information Revolution, like never before,” he added. Malaysia has done very well in cultivating a technology ecosystem that has generated over RM400 billion top line revenues, over 3,000 ICT companies, and more than a 150,000 jobs, said Gopi. That said, Gopi believes that the time has come for industry to shift gears and move some of these forward looking companies to be global players. “Developing local companies to be global players is our biggest challenge – this is because ninety percent of MSC companies today have average annual revenues of RM1 million a year, while eight percent achieve some RM20 million revenue per year. Only the top two percent of MSC companies brings in about RM200 million revenue per year. Thus, in 2015 GAIN was created to help uplift the others to reach this RM200 million revenue bracket,” said Gopi. “Initiatives undertaken include ‘Best Practice’ sharing which entails bringing together companies with good growth prospects with successful ICT companies that have succeeded internationally,” said Gopi. The GAIN program is guided by market access immersion activities, media and key-note speaking opportunities at international events, mentors and leadership courses for some. “For example, if a company wishes to enter a particular overseas market, we will try to link them up with Malaysian companies or Malaysian businesspeople who have made it there, via M&A (merger and acquisition) or partnership opportunities for new regional footprints, technology refresh with global tech players, introducing new modern funding platforms and agencies tasked to grow forward-looking companies. “In other words, it is our aim to identify companies with high potential of crossing the RM100 million revenue mark, or a niche player in the global market, with the goal of transforming them into stronger global players, whilst maintaining the Malaysian brand,” he added. Gopi also said that, with ASEAN being the fastest growing internet economy in the world, being based in Malaysia has its advantages: Such as, the country’s competitive cost base, connectivity to the region,talent and most importantly, industry and government support to be top notch regional and global players. 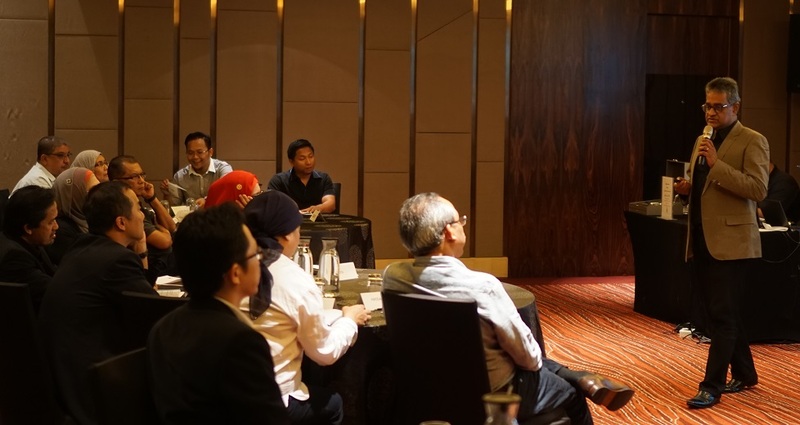 Gopi sharing his expertise with the senior management of the Petronas and KLCC Groups recently. Earlier this year, publicly-listed Pentamaster Berhad attributed its regional success partly to MDEC and the GAIN programme. The company had just successful listing of its subsidiary company, Pentamaster International Limited, on the Main Board of The Stock Exchange of Hong Kong. Besides exposure to the Greater China region, the Pentamaster Group is also aiming to establish a presence in California, United States. “Pentamaster’s vision and aspirations are in line with our GAIN program and it was only natural for us to do whatever we could to help with their regional and global aspirations,” said Gopi. Vitrox Berhad is a global player in automated vision inspection solutions. Founded by Chu Jenn Weng and Steven Siaw Kok Tong, both graduates from University Sains Malaya. Vitrox was first admitted to the ACE market in 2005 and they moved to the Main Market in 2009. On 19th March 2018, their market capitalization stood at RM2,755 million. Other MSC-status champions include Inmagine Group, now 16 years in operations, best known for their stock image business (123rf.com) and Piktochart, who produce visual stories from charts. Green Packet Berhad is a Malaysian company that started out in the Silicon Valley in 2000 and achieved a listing in 2005.In true Silicon Valley style, the company has evolved – selling its wireless broadband business to Telekom Malaysia in order to focus on the Internet-of-Things and fintech. iflix, a video on-demand service was founded by Patrick Grove, who built the hugely successful Catcha Group, the leading internet player in the region. In 2016, iflix secured a US$45 million investment from pay-tv giant Sky Plc. “Malaysia companies have come under the spotlight,” observed Gopi. “The landscape has now changed, and that money is now chasing local deals because of the ability of Malaysian companies to navigate the fragmented and tightly regulated markets of Southeast Asia. 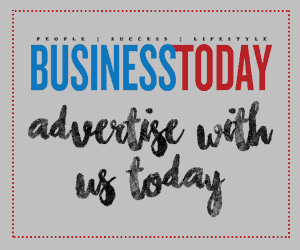 “N2N Connect, a company that provides securities trading platforms, used its Malaysian base to grow into the region,” said Gopi. “I am pleased that MDEC has continued to play an active role in building the ecosystem that has allowed these companies to flourish. We maintain a constant and consistent dialogue with several stakeholders, including BNM and the Ministry of Higher Education – where we led the push to introduce coding classes in schools. While we continue to work on the digitalisation agenda, we recognise an urgent need to bring larger VCs into Malaysia,” he continued. “Digitisation coupled with the porosity of borders has meant that competition lands at your doorstep almost from the word go! Scale and speed of growth are important and the fuel for that is cash – and plenty of it! This is one of the reasons why MDEC is pleased to have attracted Vickers Venture Partners, to open their Kuala Lumpur office,” said Gopi. He mentioned that the presence of Vickers on our shores the recent South East Asia Dragon (SEAD) event that attracted over 30 VCs from the US, China, Taiwan and Singapore is yet another indication of investor interest in Malaysian-originated deals, yet questions if enough has been done to put Malaysia on the map. The feeling is that only time will tell, but the good news is that investors are now getting off the plane at KLIA. Gopi concluded the interview by pledging that MDEC will continue making sure Malaysia is constantly on the radar.